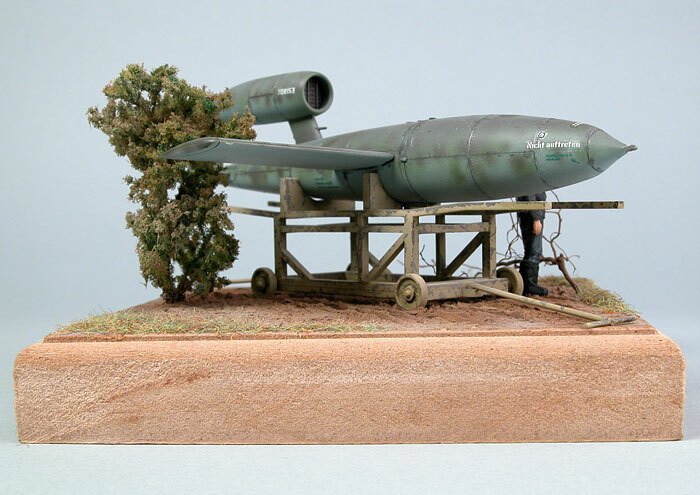 "So, where is the cockpit?" 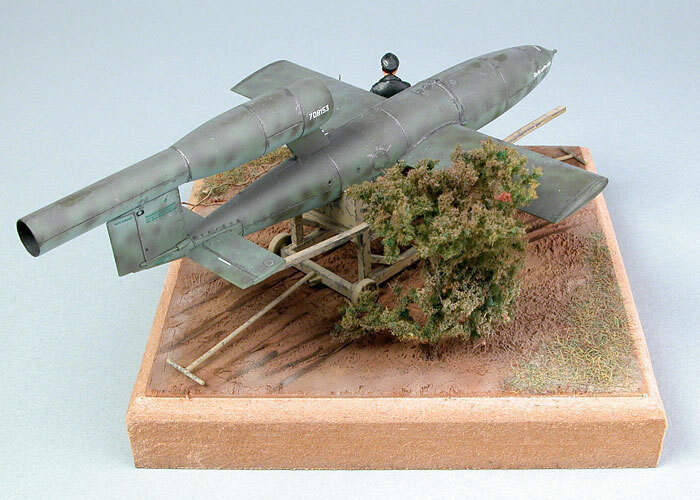 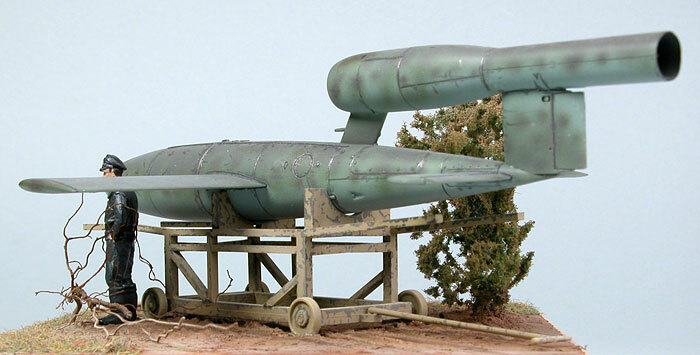 When one of my clients asked me to build Tamiya's 1/48 scale V-1 Flying Bomb, he also wanted the model displayed in a vignette setting. 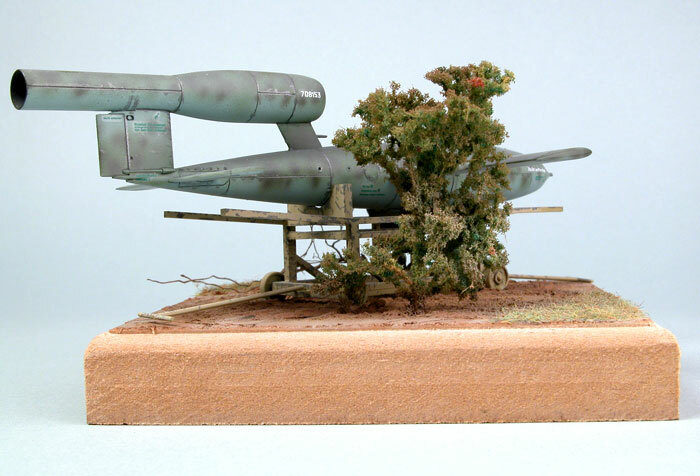 I added a figure from Hasegawa's 1/48 scale Fighter Pilots set, and positioned the two subjects on a small block of wood with some suitable groundwork, a shrub and a fallen branch. 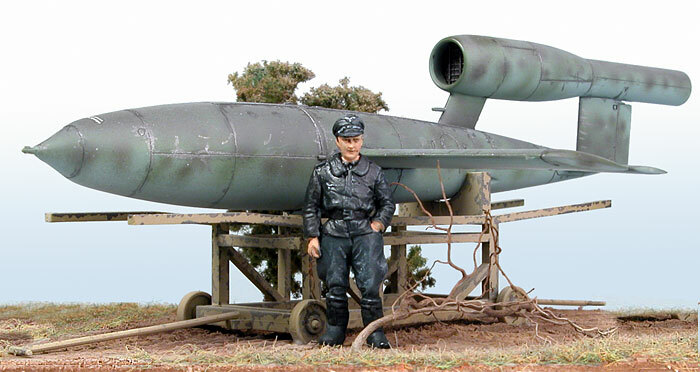 I used my Testor's Aztek A470 airbrush to paint the V-1. 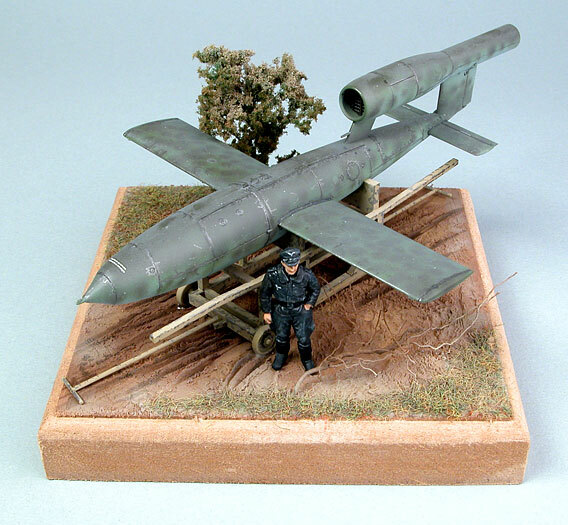 The figure was painted using Model Master enamels.